April includes Earth Day and it’s also Earth Art Bainbridge month, and one of the events you don’t want to miss is a juried fashion show called the Earth Art Bainbridge “Trashion Show”, on Sunday April 10th at 2pm. 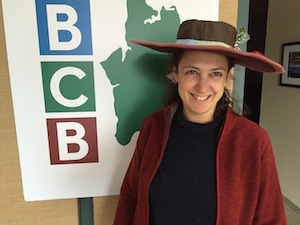 Naomi Spinak has been coordinating the program for two Sustainable Bainbridge affiliated organizations: Earth Art Bainbridge and Zero Waste. She says that the program will feature fashions made entirely from recycled or repurposed items. “Trashionistas” will either supply their own model or have a model assigned to them in the project runway style. 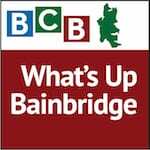 In this episode of “What’s Up Bainbridge”, Naomi speaks with BCB host Reed Price about the event. She explains why it’s part of the month-long artistic response to climate and environmental issues, in the run-up to the local celebration of Earth Day on Saturday April 23rd. The “Trashion” look for April 10th ! 1. Wearable clothing and accessories made from repurposed materials. 2. Trashion couture: Garments made for one-time fashion display or that could be displayed afterwards but are not practical to wear. To get tickets now for the Earth Art Bainbridge Trashion Show visit their Eventbrite ticket page. It’s just $10 (or $5 for students or Seniors) for an afternoon of trashion fashion, prizes, refreshments, and fun! The program is Sunday, April 10, 2-4 p.m. at Eagle Harbor Church, 105 Winslow Way West. For details on all the activities during Earth Art Bainbridge month, visit their webpage. Credits: BCB host and audio editor: Reed Price; BCB social media publisher: Barry Peters.